Very alert and vocal and will usually make useful watch dogs around the house. 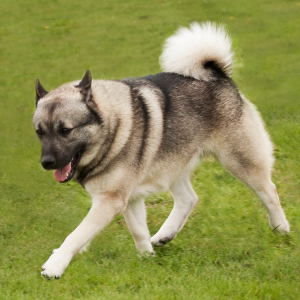 It may not be hugely surprising to learn the Norwegian Buhund is, in fact, from Norway. 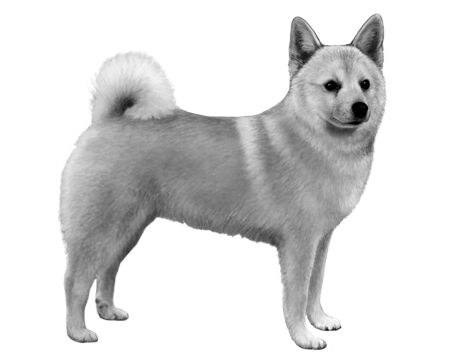 The name ‘Buhund’ stands for ‘Bu’ (which means ‘homestead’) and ‘Hund’ (hound). 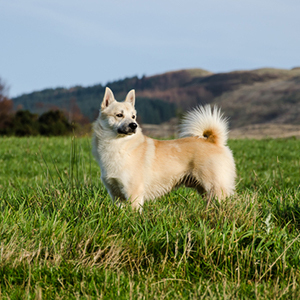 These fun-loving dogs are likely also related to other northern spitz breeds such as the Swedish Vallhund and the Norwegian Elkhound. Records of Viking raids describe small dogs accompanying the raiders on their sea voyages. Back at home, they would likely have been used as farm and guard dogs. 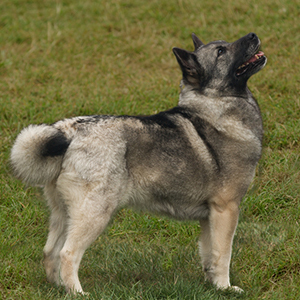 All in all, they’re a pretty versatile breed, and made great herders and elk hunters and, further afield, sniffer dogs in England. Today, they may not go on regular raids any more, but these sociable and friendly dogs do have a knack for stealing hearts.